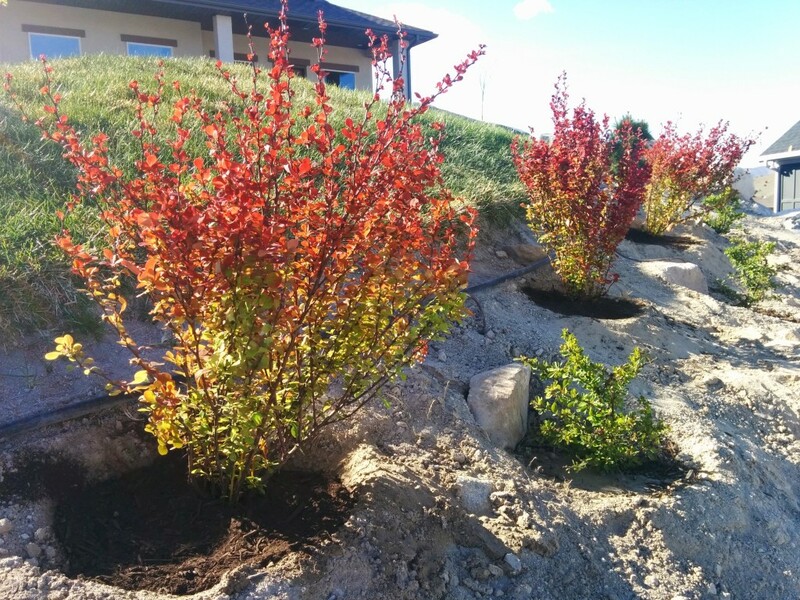 The Utah Conservation Districts of Utah County will be holding their annual Spring seedling tree/shrub sale. Trees can be ordered anytime between now and April 15, 2016. (Friday) or until sold out. The seedlings will be available Friday/Saturday April 22-23, in two Utah County locations. If you have any questions please feel free to contact Keith at 1-801-377-5580 x121. This entry was posted in Uncategorized on April 11, 2016 by Mark. 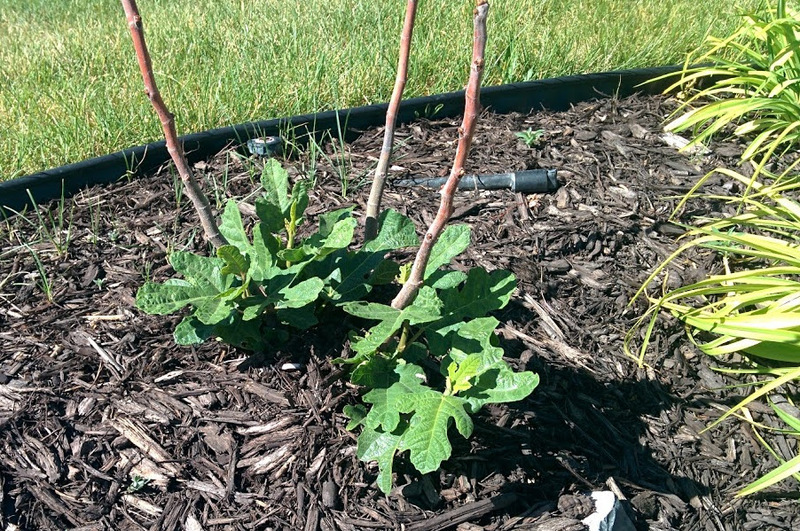 Our Hardy Chicago Fig survived an unprotected winter in Utah! Everything died back, but here it is alive and well in July 2015. This has been so fun to see. It really starts late in the spring and needs a lot of heat to get growing. Once it started it gained quite a bit of growth. We will need to protect it from the winter this fall to try to keep some of this growth for the following spring. Hopefully we can get some fruit this year, but I am not counting on it. They say it can get 8-10 feet tall and wide but I don’t know if it will grow that large and if it does, it will be with a bit of work. It needs full sun and a lot of heat. A southern exposure by your house might be your best bet. 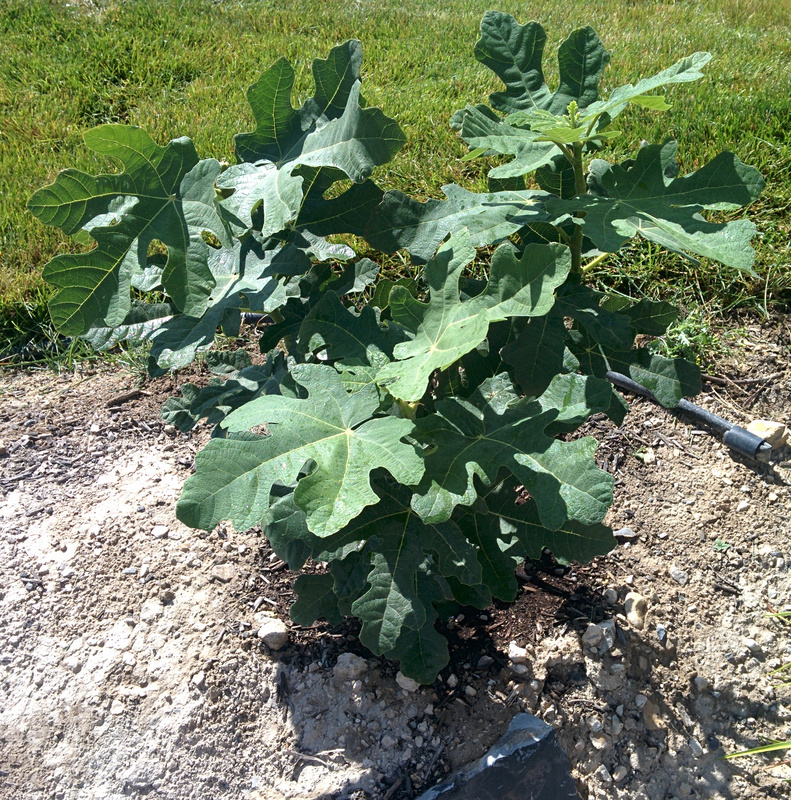 Hardy Chicago Fig in Utah – September 2015, 1 year after planting a 4-5″ plant. 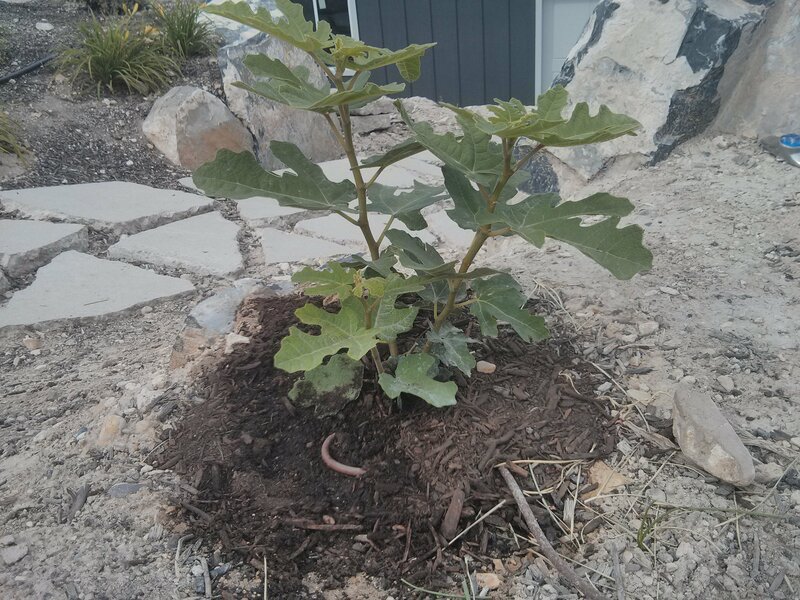 1 year after planting a 4-5″ plant, we have one fig! This is all new growth in 2015. In the Spring there wasn’t anything above the ground. By July it was close to 12″ tall. 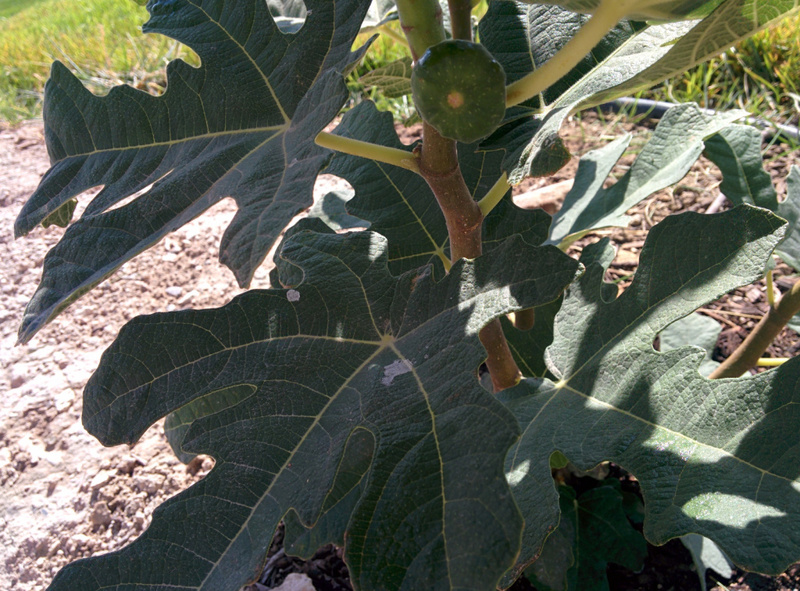 In September it is 2′ tall, sprouting new shoots out of the ground and has one fig! Not too bad for a 4-5″ plant and no protection from the winter. June 2016 – 2 year old plant in the Spring. After another winter without any special care, new leaves are out in June. There are buds all over the bare branches and we are hopeful that they will pop soon. I think it is ahead of where it was this time last year. This entry was posted in Bushes, Edible Plants and tagged Zone 6, Zone 8, zone7 on September 5, 2015 by Leah. 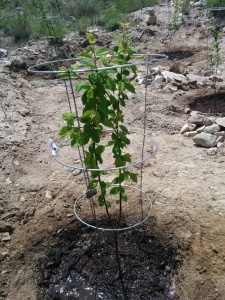 We got this Nanking Cherry as a bare root plant. Planted May 2015. 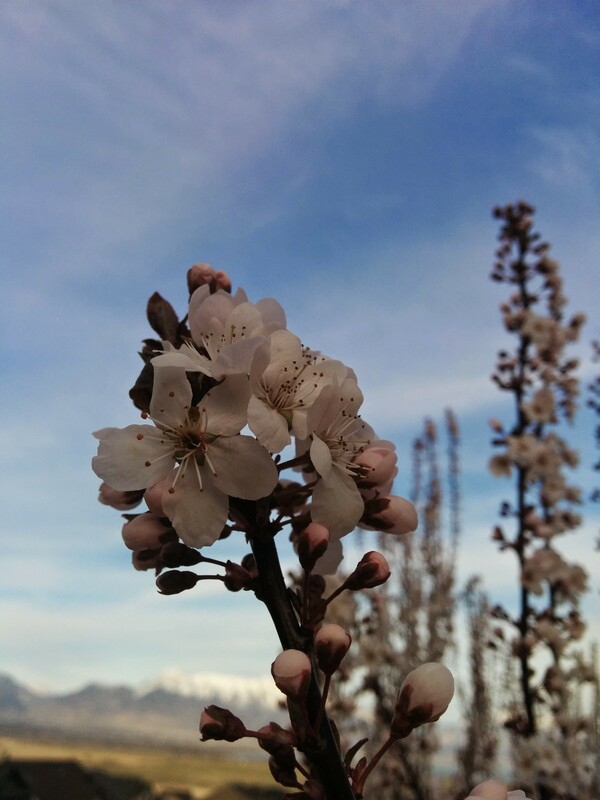 Back in February 2015 we ordered five bare root Nanking Cherry plants (Prunus tomentosa) from the Timp-Nebo/Alpine Tree sale. We received them in mid April. We planted them right away in 1 gallon pots and they leafed out pretty good. We got around to planting them in the ground at the end of May. We’ll add some chicken wire around the tomato cages to keep the rabbits and deer away while the plants get a start. They are said to grow 6′-10′ tall and up to a 15′ spread. We didn’t leave enough room for that kind of growth, but we’ll deal with when and if they grow. They should grow 1′-2′ per year. Blooms in early spring, with pink buds opening up into fragrant pale pink or white flowers. 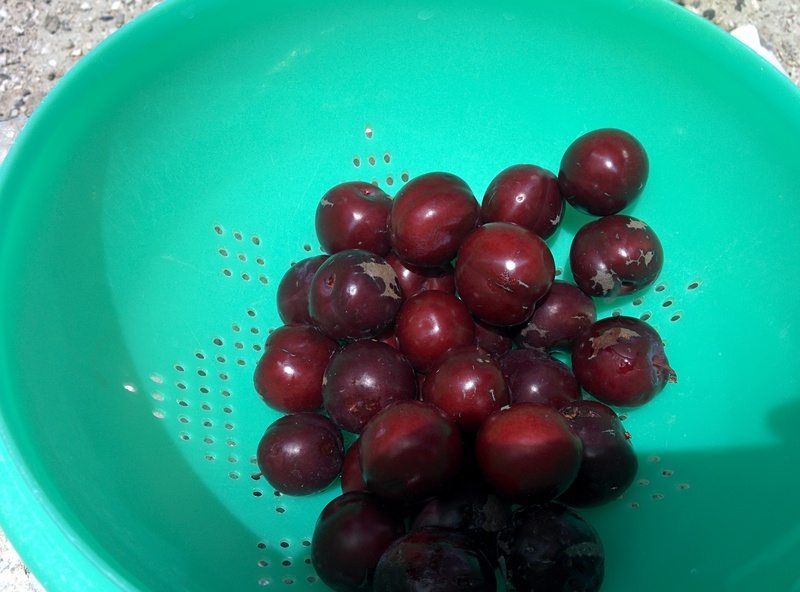 The cherries are tart and tangy scarlet-colored and can be eaten fresh or used in pies, jams and jellies. Two or more shrubs should be planted within 100′ of each other to ensure cross-pollination. It isn’t self-fertile. Adapts to a variety of soil conditions and pH levels. It prefers well-drained soil but will tolerate drought and can grow in semi-arid conditions. I’m anxious to see what kind of cherries we get off these $3 plants. This entry was posted in Bushes, Edible Plants and tagged Zone 1, Zone 2, Zone 3, Zone 4, Zone 5, Zone 6, Zone 7 on May 28, 2015 by Mark. 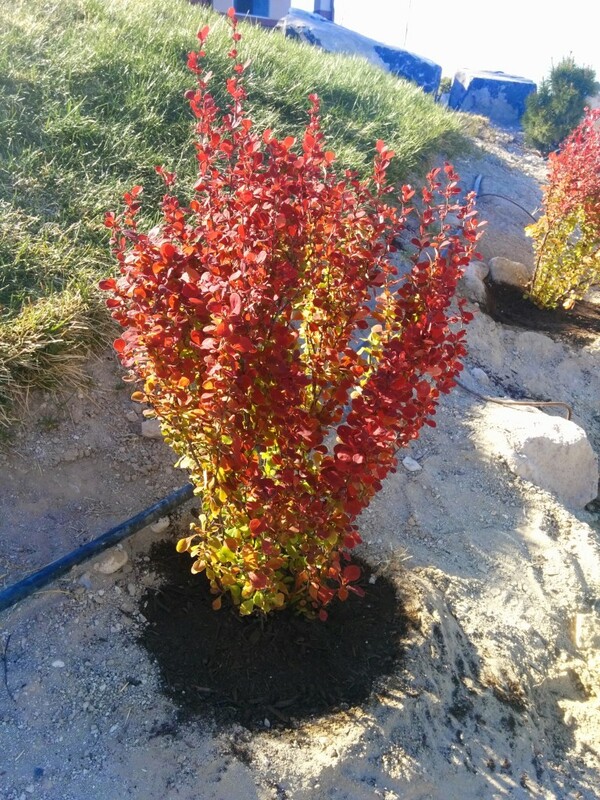 The Orange Rocket Barberry starts out coral-orange/red in the Spring, green in the summer and ruby red in the Fall. They grow up to 4-1/2′ tall and 1-1/2′ wide. Lots of color in the Spring and Fall. This entry was posted in Bushes and tagged Zone 4, Zone 5, Zone 6, Zone 7, Zone 8, Zone 9 on April 10, 2015 by Mark. 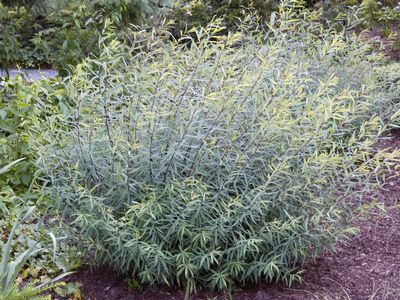 Lime Glow Barberry can grow up to 5′ tall and 4′ wide. It is a slow grower and will need regular watering when it is hot. It should turn a brilliant red in the Fall, I can’t wait to see it and get some pictures on here. This entry was posted in Bushes and tagged Zone 4, Zone 5, Zone 6, Zone 7, Zone 8 on April 10, 2015 by Mark. These trees were planted late in the summer of 2014. They are looking good so far in the Spring of 2015. 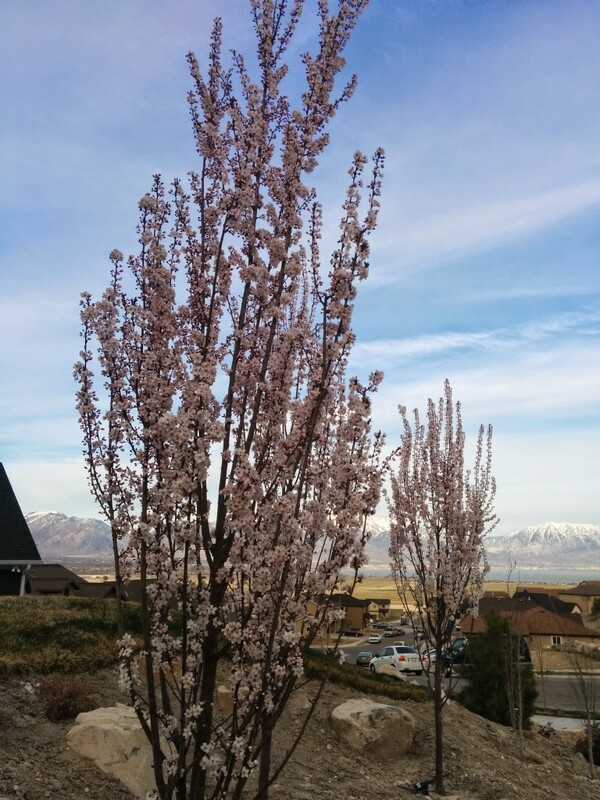 We haven’t planted the Crimson Pointe variety before, but we’ve had other flowering plum tress that grew well in Eagle Mountain. Crimson Point Plum – Spring blossoms, 2015. Crimson Point Plum – Spring blossoms. Some of those blossoms turn into fruit. We weren’t sure what to expect, but all three of these trees gave us a bit to eat about July 1st, 2015. Small plums from the Crimson Pointe Plum tree. They are just over 1″. The flesh is sweet, but the skins are very tart, but we still eat them. This entry was posted in Edible Plants, Flowers, Trees on March 19, 2015 by Leah. You can get some great deals right now on seedling trees and shrubs. This is through the Utah Association of Conservation Districts. Look for the link to the Timp-Nebo/Alpine Tree Sale. Bundles of 5 are priced from $10 to 17.50. They won’t ship so you’ll have to pick them up – somewhere in Utah County – it doesn’t say where. Orders will be available April 17th or 18th. When I checked the site, this is what was available, but they are sold first come first serve. 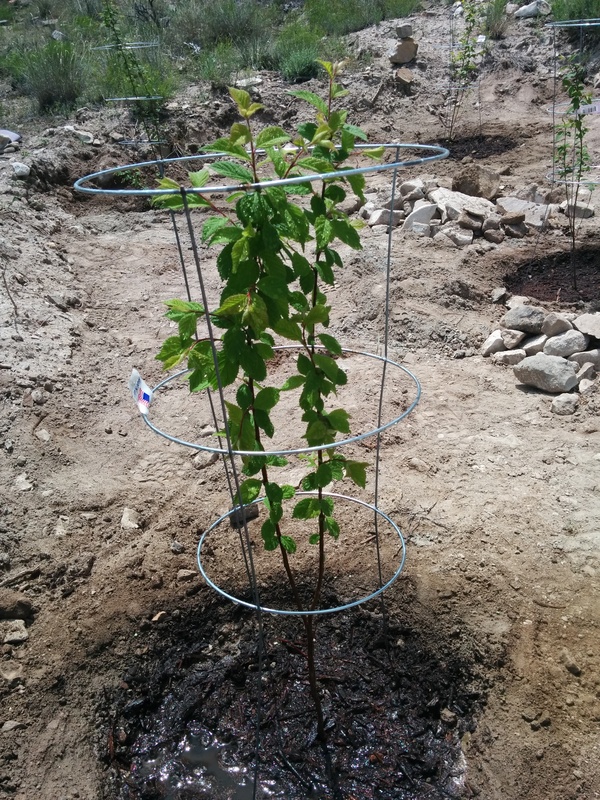 We are going to try the Amur Maple, Nanking Cherry, Purple Lilac, Forsythia and Mugo Pine. We’ve had great luck with Mugos. We had one Forsythia that didn’t do great, but we are going to try it again in a spot with more sun. This entry was posted in Uncategorized on February 24, 2015 by Mark. 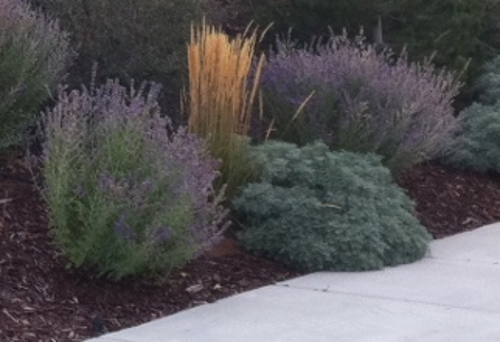 Russian sage thrives in the heat, tolerates poor soil and is resistant to deer and pests. It looks good with succulents and ornamental grasses. When we were planting I stepped on one of the 3″ plants we bought and broke it down to a 1/2″ stem with a single leaf. It didn’t bother it one bit. By the end of the summer that plant was full-size like the rest. It grows great int the rocky, alkaline soil in Eagle Mountain. Sounds good right? 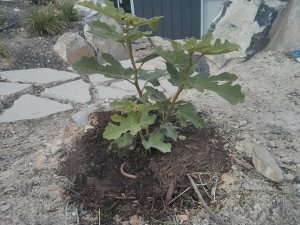 Here is why I’ll never plant it again. It spreads. It sends roots out 20-30′ to pop up a new plant and it just won’t die. It is nearly impossible to remove from a yard. You’ve been warned. Russian sage with purpler flowers. Also in the photo, Artimis Powis Castle, and an ornamental grass. This entry was posted in Bushes and tagged flowers, Zone 4, Zone 5, Zone 6, Zone 7, Zone 8, Zone 9 on February 18, 2015 by Mark. So far any ornamental grass we have put in has thrived with little to no maintenance at all, with one exception – Compact Pampas Grass. In the fall or early spring you will need to cut most of the grasses down to the ground. Our large ones we wrapped with twine before cutting to make clean up easier. This was a gorgeous grass but it was not a perennial here in Eagle Mountain. It didn’t last the first winter. This entry was posted in Grasses and tagged Zone 4, Zone 5, Zone 6, Zone 7 on February 18, 2015 by Leah. The Arctic Willow grew well in Eagle Mountain. You can prune and shape them to keep the size down, but it will make you work for it for a few years. Don’t let the dwarf name fool you. I’ve listed the sizes here according to what we saw in our yard. They are always advertised in the 3-5′ range, but it isn’t uncommon for them to be much larger. 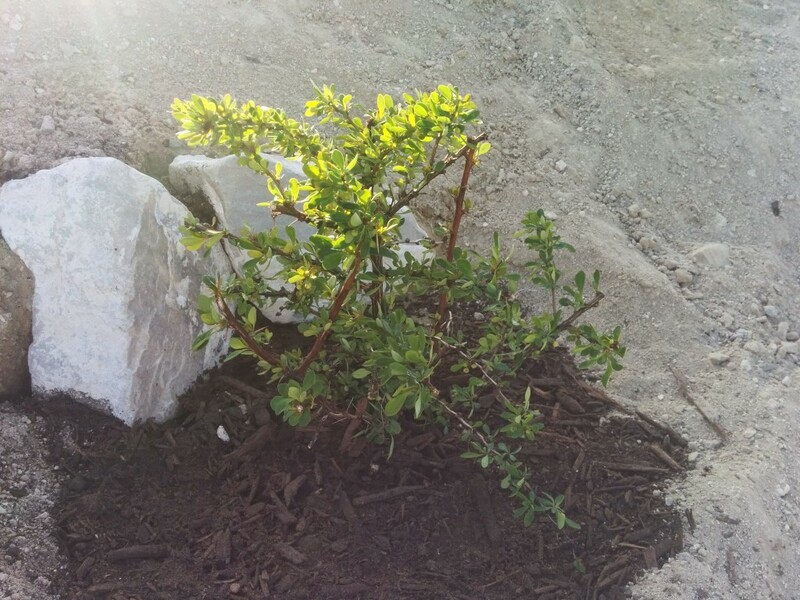 This entry was posted in Bushes and tagged Zone 4, Zone 5, Zone 6 on February 18, 2015 by Mark.